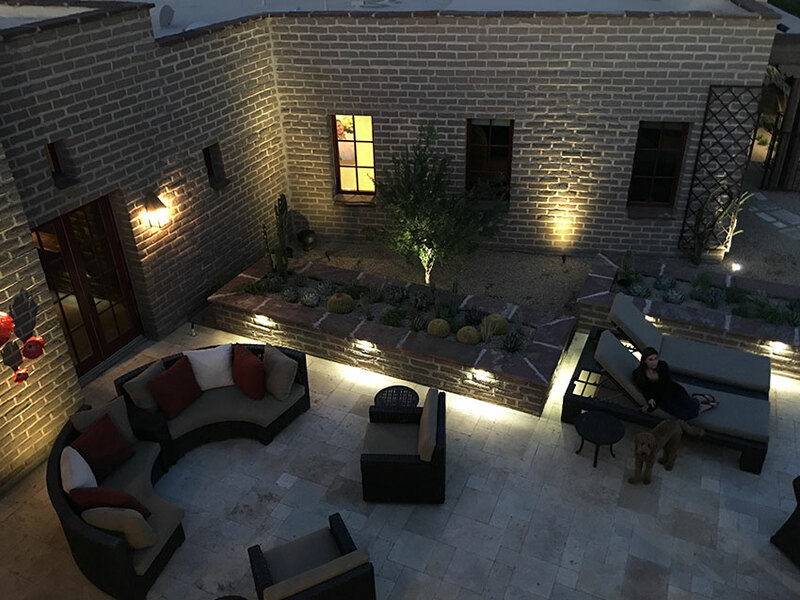 If you are searching for landscape lighting, outdoor lighting, low voltage landscape lighting, outdoor lighting companies, landscape lighting companies, landscape lighting contractors, landscape lighting installers near me or outdoor lighting contractors near me in Scottsdale or Phoenix, Arte Verde can help! From lighting up your landscape to installing LED lighting systems, we can do it all! Our expert team of landscape lighting contractors will transform your outdoor lighting landscape dreams into reality. Arte Verde is Phoenix & Scottsdale’s Arizona’s premier provider of residential outdoor landscape lighting installation. At Arte Verde, our landscape designs speak for themselves. We take pride in all projects we accept and complete them with a goal of a 100% custom satisfaction. Looking for landscape lighting replacement? We can do that too! 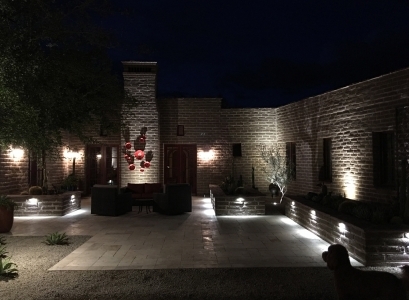 Outdoor landscape lighting experts, Arte Verde, proudly serves the Scottsdale area as a professional full-service landscape lighting company providing replacement and installation of outdoor lighting. We install landscape Rope lighting, Strip lighting, Up lighting, Vine tree lights, Down lighting, Step lights, Underwater lighting, Path lighting, Bulb/Lamp replacement, Dimmable lighting, Color changing lighting, and more. Whether you are looking to install a brand new system, upgrade your current lighting system, or are interested in LED lighting, WE CAN HELP! We can upgrade your current incandescent lighting to LED lighting. Happy with your current system but having technical issues? We also provide landscape lighting repair. We can replace your wiring, transformers, timers, and more. Our lighting experts are have years of experience in working with LED and incandescent landscape lighting systems. 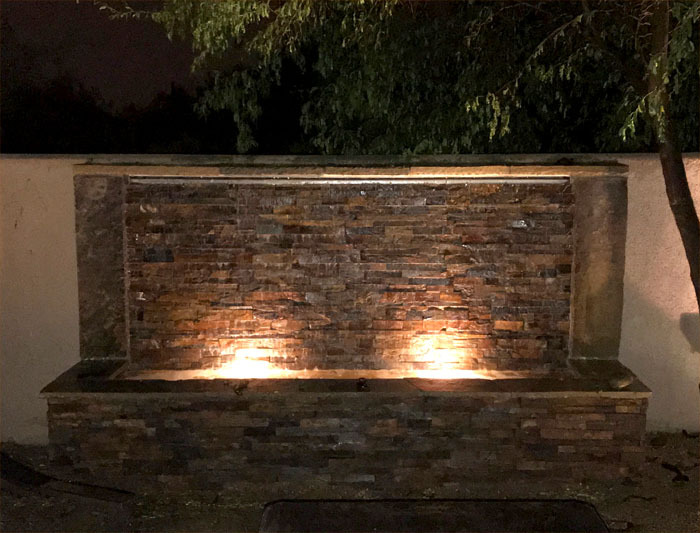 We are the best outdoor lighting company because not only can we install your landscape lighting but we can also help with landscape design, water features and more. 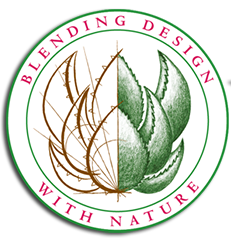 We are a full service landscape design company helping homeowners turn their residential landscapes into a beautiful desert oasis. Arte Verde’s unique ability to blend unique design with natural elements has earned us the opportunity to offer desert-specific gardening tips while appearing on PBS. We’ve also worked with Habitat for Humanity in Phoenix, Arizona and around the Valley. So many options when it comes to lighting up your outdoor living space. Whether you are looking for driveway landscape lighting, water feature lighting, or lighting for your trees and plants, our skilled professionals can assist in finding the perfect lighting for your specific property and landscaping. Already have current outdoor lighting system that you want to upgrade? We provide full replacement of transformers, wiring, fixtures, and timers to keep your system in perfect condition. Looking to upgrade your current incandescent system to an LED lighting system? We can do that too! Types of landscape lighting include: Path lights, Postmount/Piermount lights, Step and Deck lights, Bollard Lights, Spotlights, Flood lights, Well lights, Pond lights, Hardscape lights and more. Where To Place Landscape Lighting? Replace your energy inefficient old lighting with a brand new LED lighting system. LED lighting draws dramatically less energy than traditional lighting while still shedding the right amount of light you want for your property. Arte Verde is Scottsdale’s premier outdoor LED lighting installation expert. Our expert LED lighting installers will make sure your lighting systems is installed and stays in perfect condition. We can also help with Halogen to LED conversions. Do you have existing lighting already but need help to maximize the bulb effect and life of your bulbs? We can convert your current lighting system to an LED landscape lighting system that uses high quality LED bulbs with a variet of color temperatures and beam spreads. LED bulbs will provide years of use (rated for 50,000 hours/1p+ years) and will help fight the problem with dim bulbs and premature buring out (changing bulbs all the time). These bulbs also use lower wattage (typically 3-7 watts) and will reduce heat amounts to ensure longer life. Invite Arte Verde to inpect your currrent system to find out if using what you have (vs installing new) is an option for you, especially if you need to stick to a small budget. Most of the time, LED conversions can be combined with repositioning of your fixtures and that will be all that you need. At Arte Verde, we are landscape lighting designers and installers. Whether you are looking to have your entire house lit up, or just want to add an comfortable atmosphere to your outdoor living space, Arte Verde will install the landscape lighting system to fit your needs. Get a free quote for landscape lighting quote in Phoenix or Scottsdale by giving Arte Verde a call today at (602) 618-0688. Contact Arte Verde Today at (602) 618-0688 or fill out our contact form to schedule your free landscape lighting installation quote today. Arte Verde provides low voltage landscape lighting to help homeowners light up their landscapes for a fraction of the price. We can help with LED fixtures, transformers, bulbs, lighting accessories, programmable lighting controllers, and more. We offer a full array of lighting fixture options including: Hardscape lighting, underwater lighting, accent lights, spot lights, deck lights, flood lights, LED lights, path lights, down-lights and up-lights. Low voltage landscape lighting is a type of landscape lighting that uses 12 volts instead of 120 volts. This is an energy efficient and cost effective way to light up your landscape. Outdoor low voltage lighting is a great alternative to floodlights. Low voltage lighting can be used to illuminate dark zones, steps and paths.